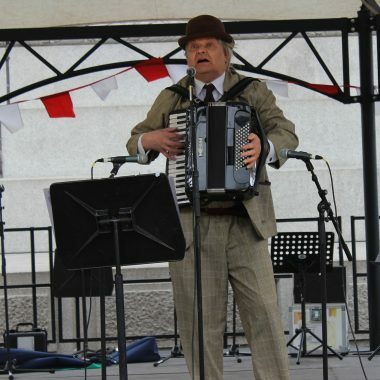 Mike Ruff is a professional musician who specialises in French, Italian, Scandinavian, German, English, Irish and Scottish music played on the accordion. 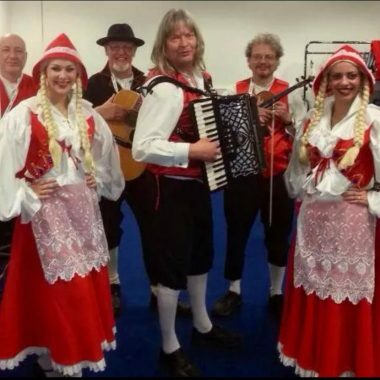 Mike Ruff is a professional musician who specialises in French, Italian, Scandinavian, German, English, Irish and Scottish music played on the accordion. 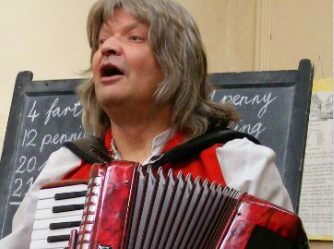 He also sings, and performs Medieval and Renaissance music on mandolin and recorders. He even has his own maypole! 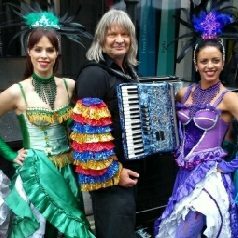 Mike is happy working on his own as a solo accordionist or dancer, or with other musicians and dancers, for example in Quicksilver who offer a wide range of instrumental music for dancing or listening. 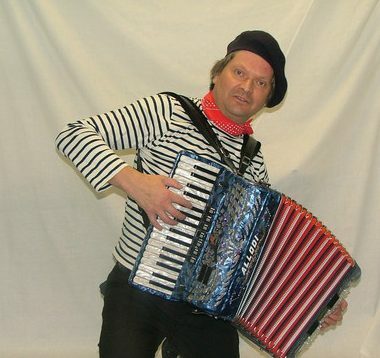 He also performs in Allcock and Brown, a specialist authentic early 20th Century music hall act. Mike also has a large selection of nautical songs and tunes, and sea shanties. 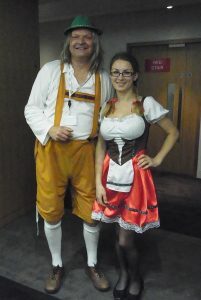 Mike offers a repertoire of German music suitable for Oktoberfest and other Bavarian themed events. Complete with jaunty costume and thigh slapping tunes, he brings a bit of oomp-ah and a real Hofbräuhaus feel to your celebrations. He can perform solo or with other musicians as a duo or trio.